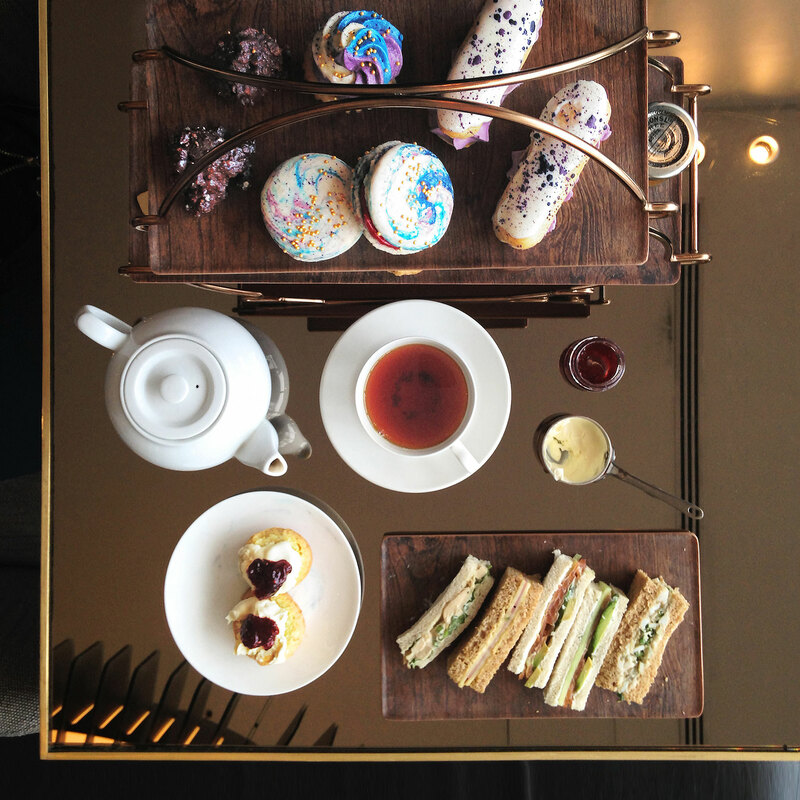 Now this is an afternoon tea that is out of this world! From Jupiter Cakes to Galaxy Macaroons, the space-inspired Gravi-Tea at Skylon Restaurant on London's Southbank is a truly stellar experience. 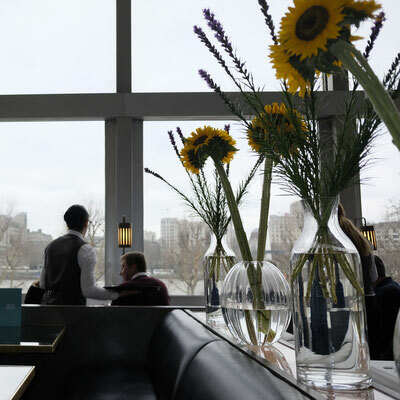 Keeping the ‘sky' from Skylon in mind, Executive Chef Kim Woodward told me her team were inspired by the restaurant's planetary Christmas decorations. She told her pastry chefs to go crazy with the cosmos concept and the result is just fabulous, with a delicious, galactic menu that takes you on a journey through the solar system . . .
Jupiter Cake - the star of the show. A glazed light fluffy moose flavoured with honey and violet and an amazing edible white chocolate ring orbiting it. 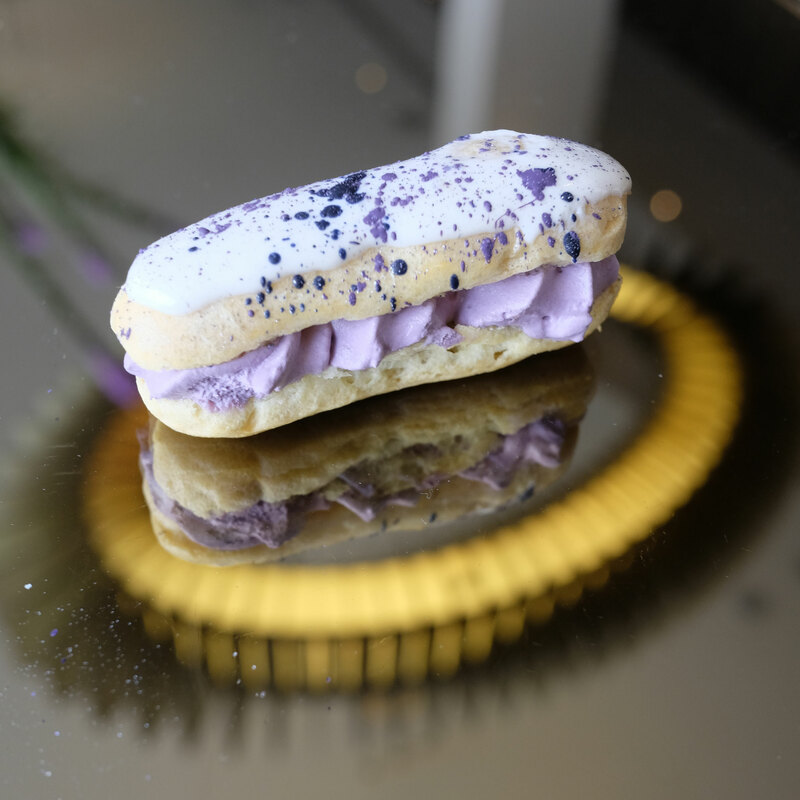 Cosmos Mini Choux - filled with a pale purple blackcurrant Chantilly cream, the splattered glaze looks like Jackson Pollock painted it in a rocket! 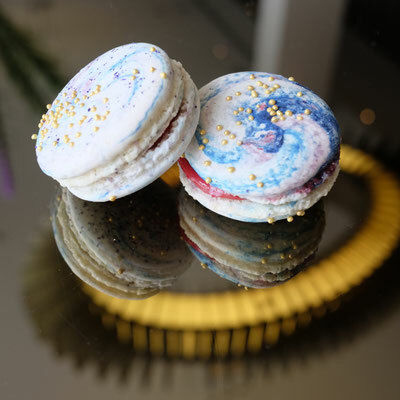 Galaxy Macaroons - sparkling and crisp on the outside with a cool blood orange filling. Rocks of the Universe - crunchy hazelnut and chocolate covering a soft raspberry chocolate centre. 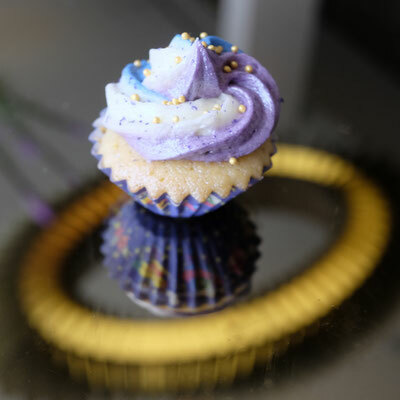 Galactic Cupcake - moist cake covered in blue and purple swirled butter cream icing, with crunchy golden balls and space dust. And that's just the top tier! 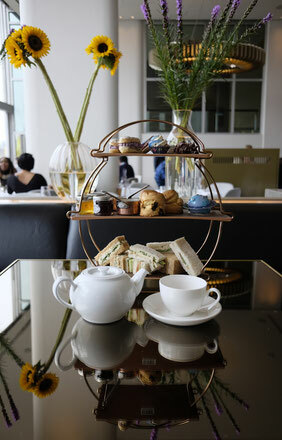 There's also traditional freshly backed scones, with clotted cream and preserves, and a tasty range of finger sandwiches of which the salmon and avocado was my favourite. 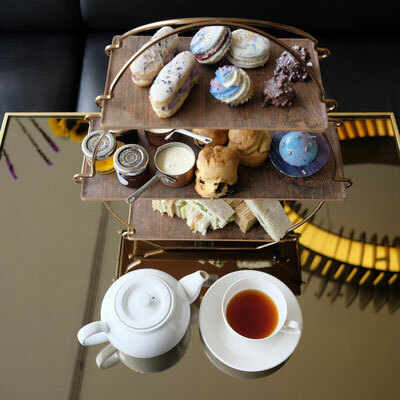 Served with Brew Tea Company's loose leaf Breakfast Blend (champagne and cocktails also available) this is a quirky afternoon tea and a playful, edible astronomical adventure. Tea tip: Sit as close to the floor-to-ceiling windows as you can - those views of the Thames are marvelous. 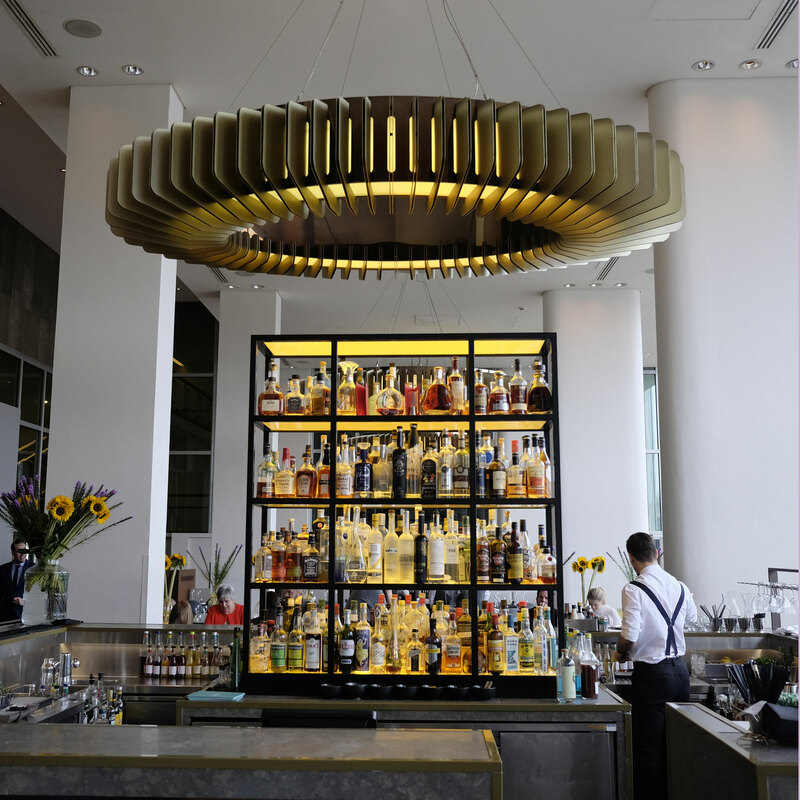 Reserve your table online here.